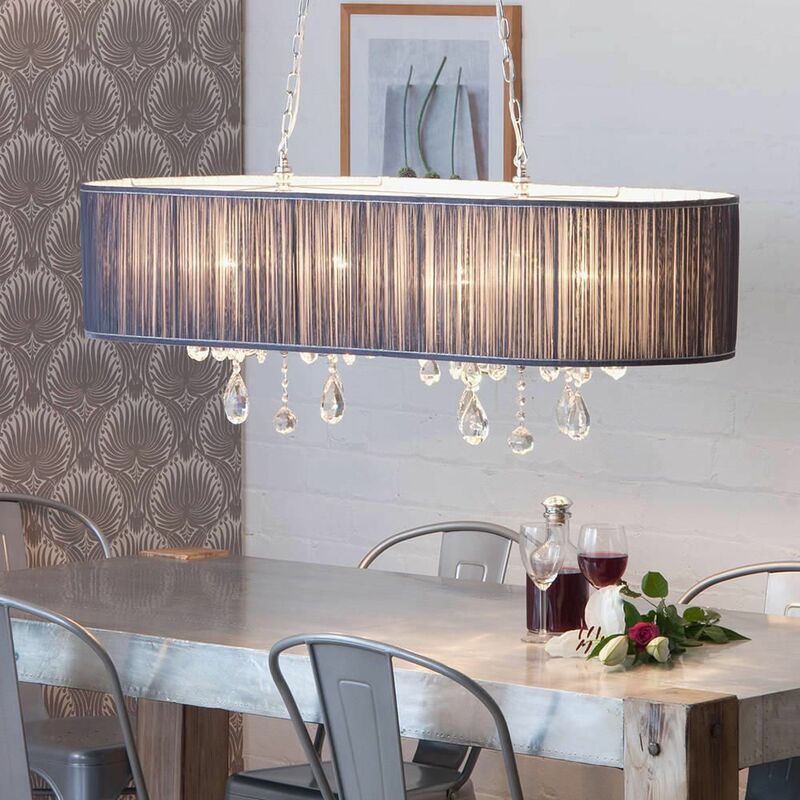 If you're looking for a stunning centre piece for your living room or dining room, The L'amour ceiling light will not dissapoint. 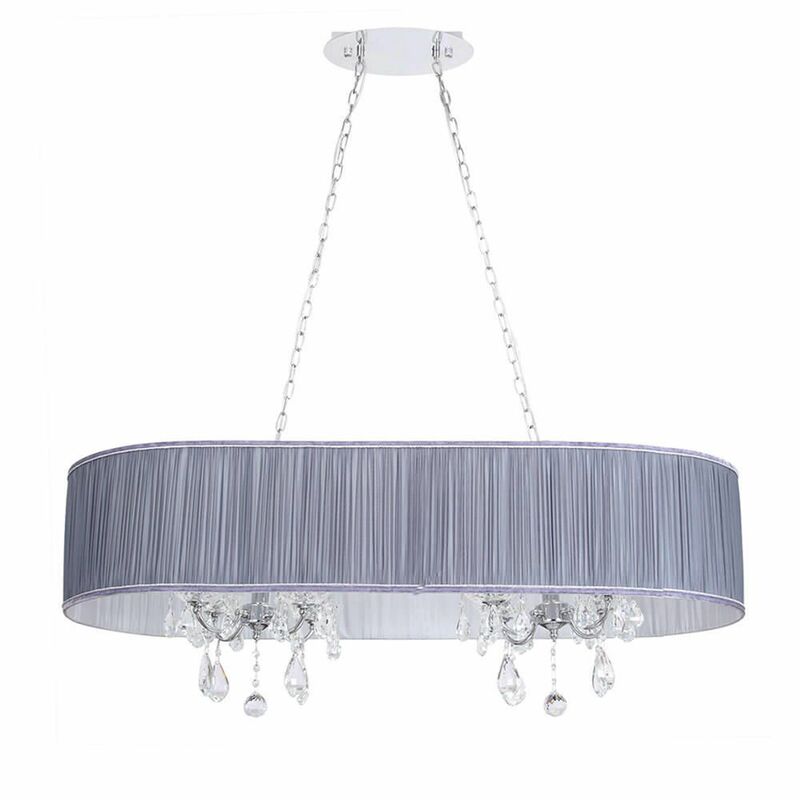 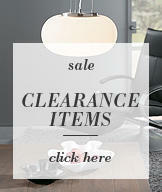 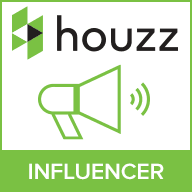 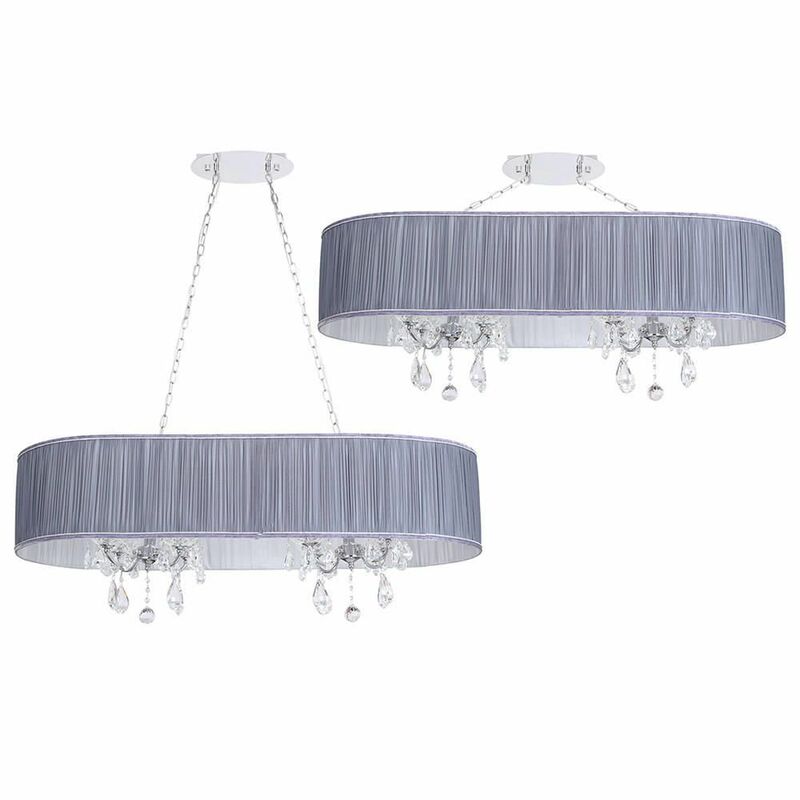 This ceiling light will give any room the wow factor and looks especially great when hung above a dining room table. 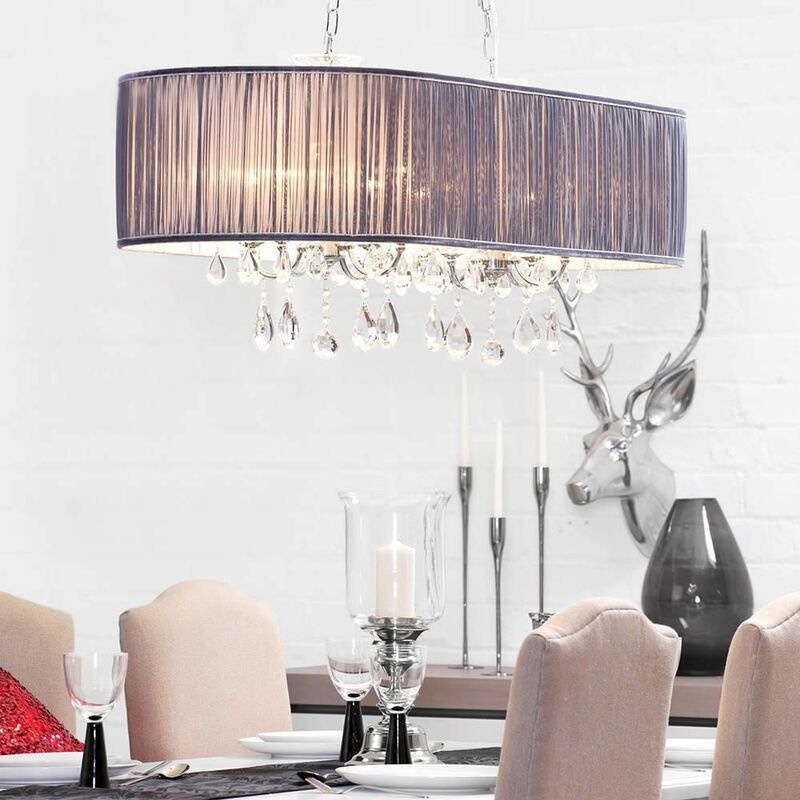 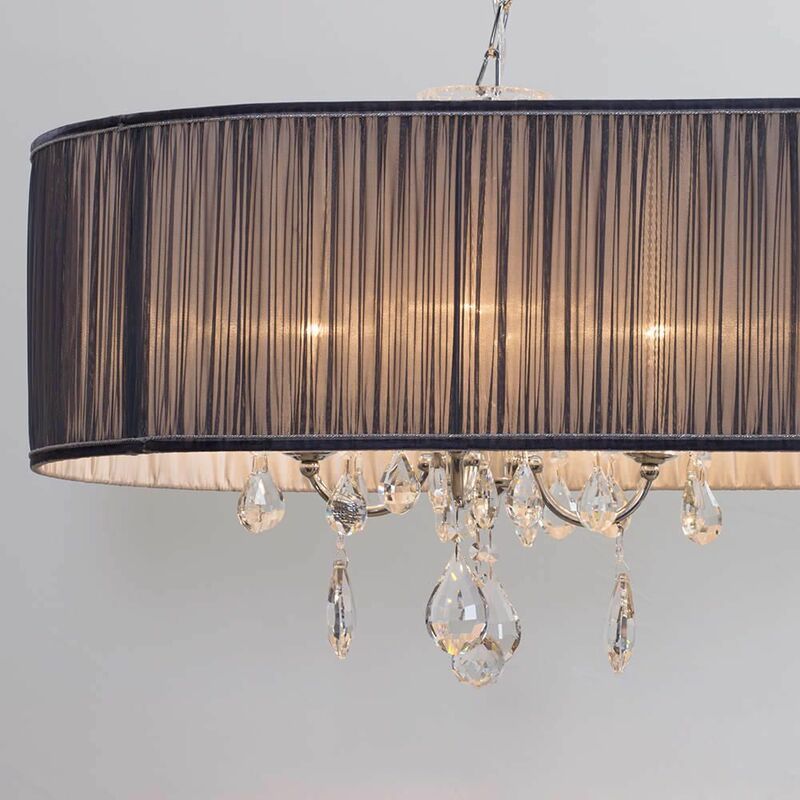 It features two chrome chandeliers complete with hanging crystal effect pendants inside an elegant double silver coloured pleated shade. 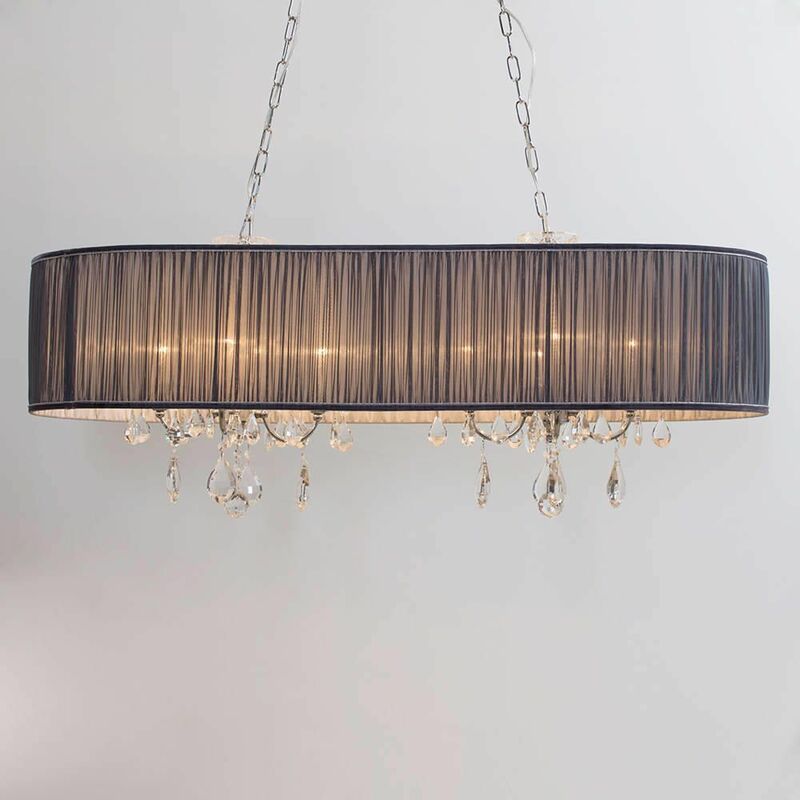 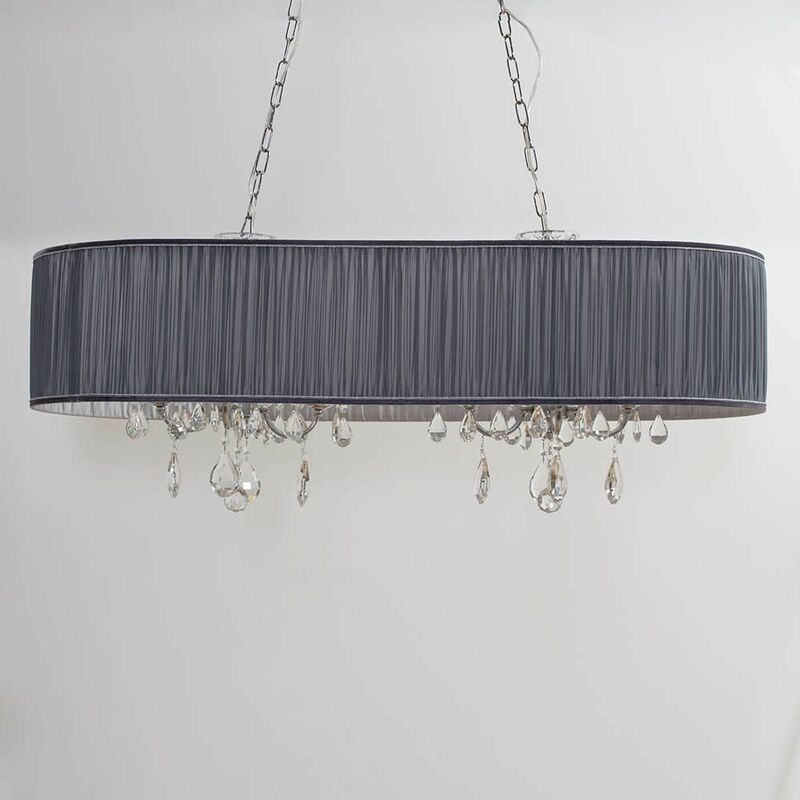 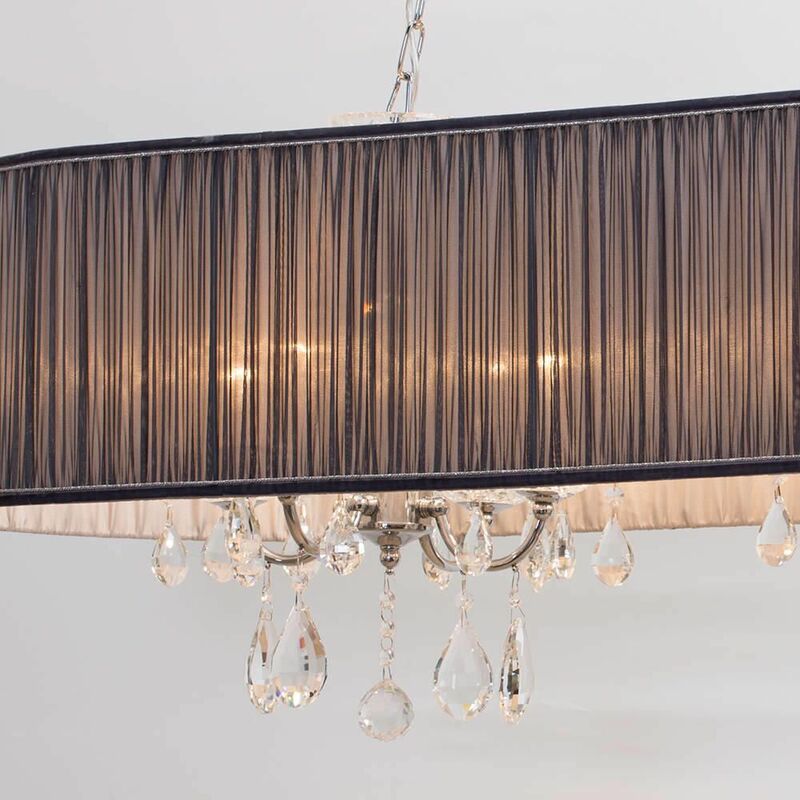 The L'amour pendant light is also available as a single 4 light chandelier ceiling light. 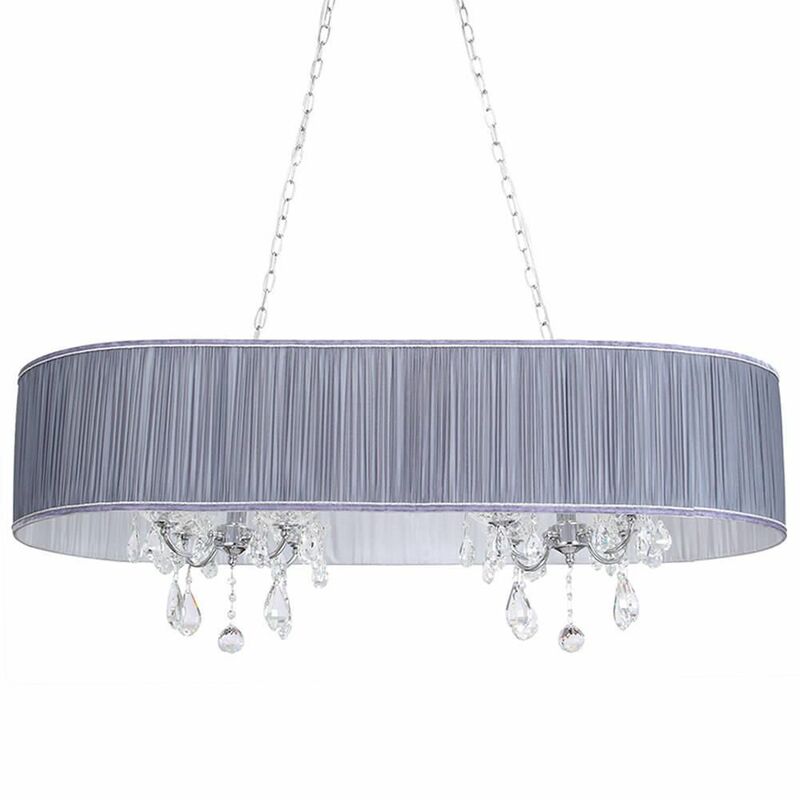 Q: What are the measurements for the L'amour 8 light?